Since the warm days of autumn in Aix-en-Provence at the end of my last letter we have all bottomed out through the winter, and spring is in the air. It snowed again last night, but much of it melted already by noon today in the March sun that is deceptively strong here and more concentrated, because the days are longer, the rays hit the ground in steeper angles and reflect off the snow for a double portion. That also means that it is high time to let you know about the dates for the annual Summer Study Program June 15th through July 17th, and August 6 through the 29th, 2003. As in previous years these dates do not define two separate terms, but rather an open house when guests and students are welcome to join us for periods of serious individual study, long conversations over meals, discussions in a small group and weekly field trips, and all this in the midst of a beautiful setting to encourage us to work through important issues in the relationship of Christianity to life, which may have interested, or even bothered us, for a long time. The interaction with others in such an atmosphere broadens our perspective and places our concerns into a larger context, where we see them both justified as well as answered as best we can from the Bible. We invite you to get in touch with us about further details such as cost, clothes or travel arrangements. But let me take you now back to late November, when I had walked with friends along the Mediterranean after Sunday dinner before joining together later in the afternoon for a church service of the English community that meets in the Protestant Church right off the Mirabeau. I preached a sermon on "The Aroma of Christ, the fragrance of the knowledge of God" (2nd Corinthians 2:14ff) to bring out the unique wonder of a God, whose word is light in darkness, whose judgments set sinners free from evil, whose acts affirm us in our humanity. Each of these elements have made such a difference in the human race, which otherwise would be so often a victim of circumstances, under the dictates of natural drives and passions and finally nothing more than a particle in the sea of other meaningless and impersonal particles of being. A wonderful evening of discussion followed with the local French church members and guests. On another day I was privileged to teach a class in apologetics at the Free Theological Faculty of Reformed Theology in Aix, where our good friends and member of the Board Pierre Berthoud teaches that and Old Testament subjects. Finally a public lecture was arranged to discuss the question whether the "Clash of Civilizations" can be avoided. Here I tried to point out the two contrary philosophical perspectives, each with their own very distinct cultural consequences, in Islam and in the Biblical perspective. The talk has been edited and will be reprinted in a French journal. It seemed important to me to point out that the basis for very different views on life and thought and practice is found in the very distinct Biblical understandings of God. In Islam God is one, alone, immutable and impersonal. This does not encourage dialogue or questions of him or others. It stifles a continuous creation of life and society. There is also no fall into sin and no redemption. Instead all is obedience or disobedience, with a request for pardon always being granted, and everything is fine again. There is no broken world, no weight of sin, no unjust situation in the perspective of Islam. There is also no life outside of Allah. On the basis of the Bible, on the other hand, we affirm an eternal Trinity of real divine persons with real love and communication between them. The God of the Bible created in six days, however long they were, and then handed the mandate to subdue, to create and to have dominion to the creature to continue the process through inventions, imagination, and effort, as well as, after the fall, through hard work and a willingness to resist evil and destruction. Things are not finished once for all. Choices are real, and history can, as it did, go wrong through the willful rebellion of the creature. These two very different frameworks have interesting, and sad, consequences in society. For certainly human participation in history is more real in Jewish and Christian thought and teaching. Democracy and individuality flow from God's addressing us as real people made in his image rather than from blindly obedient servants to a divinity and situations which are always final, right and without variation. Invention, daring and arguing with the status quo, especially after the fall of Adam, are encouraged in the Bible, but seen as arrogant rebellion in any case in Islam. In a recent discussion with Isaac, who had decided to read the Koran on his own now that it is so much in everyone's mind, I was fascinated to learn from him how much he found the text of the Bible differing from that of the holy book of Islam, where little reference is made to history, to real people and the flow of life. An appealing future is never a consequence of and a part of history, of choices and logical coherence. Islam's god has to sell heaven to the faithful with images and promises of worldly pleasures, rather than merely stating that there is continuity to life in both heaven and hell. Allah needs to woo people; God states historic facts in the future. Allah seems to need the tools of embellishment to make heaven attractive and sensual; God declares what is and what shall be. For the Muslim the reward to obedience is not that it is good to do what is right, but that he will receive a reward in the future; for the Jew and the Christian is lies in the fact of a relationship that includes personality and intellect, soul and body, between creator and creature today and forever. A historic contrast between Christianity and Islam was evident during the ten days I spent in Armenia in early December. I went to teach for a group running a Christian Leadership Seminar among students. One evening I spent with a group of Christian lawyers and preached for the International Church on Sunday. Each day a full program of visits to Christian sights from many centuries had been organized by my hosts, who are rightly proud of their country and history. Armenia is known to be the first country where a translation of the Bible was made after an alphabet had been designed to write in. This takes us back to the beginning of the fourth century. I recalled an exhibit in New York's Metropolitan Library on the importance of The Word to our whole culture. That word was central here as well. It defines Armenia, which is located on the watershed between Asia and Europe, is surrounded on three sides by Islamic people. It has often been terribly oppressed through the centuries. The Armenian massacre by the Turks during World War was the most recent horror and gave rise, for the first time, to the word ‘holocaust'. The audience was very interested. It always amazes me how much young students are willing to sit through lectures and seminars after long days of hard work, often walking for long distances and eating very little to not miss an hour of information, discussion and contact with a person from the outside. There is such amazing hunger to know, to learn, to be able to turn a corner in order to get away from a very painful past. I was delighted with the time there, the more since I was able to spend much of it with a good friend who had come from Moscow to support me and to explain much of the context in which I was working. My time in Armenia meant that I was absent from home, when sharp pains, twisting cramps and strong joint pains started for Isaac, whose medical problem has not yet been able to be diagnosed as I write three months later. He went through a whole series of tests, here first in December and January, then in February at Mayo Clinic in Rochester, without us being able to put a name to the beast or to find a remedy to reduce the pain. He has been out of school since late November and is of course very discouraged by it all. There was a suspicion of Crohn's, which it might still turn out to be. Medical information suggests that it takes on the average 5 years to come to a definite diagnosis of Crohn's. In any case it is likely to be an autoimmune deficiency, possibly a filtering problem following a severe infection. We pray for wisdom about what next steps to take, for healing. Many friends, who have joined us in prayer and with practical support, have encouraged us much. Yet we wonder where to turn next. The cramping continues, as do the severe joint pains. Please continue to pray with us for recovery as well as for possibilities to catch up with important work at school in preparations for an important exam at the end of 9th grade. At Christmas we went back for the Annual Christmas Eve Carol Service in English to Champéry, from where the Schaeffers had been evicted in 1955 for religious influence on the village. We walk through the village, hang posters and talk to some of them who attended the Bible Classes so many years ago now. The protestant chapel is decorated, and we welcome English, Dutch and Scandinavian visitors to a full service by candlelight. Soon after the New Year a delightful and interested group of Americans joined us for their ‘rest' from a year's work in Samara. We heated the student flats and made an exception for them to come then. And how worthwhile it all was! They are students who take classes at university and meet with Russian colleagues to talk about their faith, their view of things and their approach to life. Mitch and Jennifer, who had been with us last summer and had brought the young history professor to us then, also work among business people to help them understand the place of effort, imagination, honesty and hard work with and for people as a part of the capitalist ‘evil' which Russians have such a hard time to discern from among the stereotypes, assumptions and remnants of past propaganda about the subject. They all skied some, studied a lot from our tapes and books, and during the evening we had long meals together with good conversations. One area we talked about at some length was the whole idea of ‘The Lord's plan' being more focused in the Bible on our being human than on an assumed master plan, like a blueprint, to be followed to the letter in every area of life. We believe that while it is the plan of God that animals and things follow their nature's laws, it is the plan of God that human beings would follow his plan of our being human. That involves as much an expression of true personality as receiving commands to clarify to us what is right, good and beautiful. Real personality is always weakened, when it is assumed that the plan encompasses all things: what I wear during the day, what books I read, how I apply for a job and with whom I drink tea or start a romance. For the plan of God in each of these areas is that I act wisely, choose carefully and take responsibility as a truthful human being. From this I am both freer and more bound, but I am never a machine safely chugging along the tracks of a plan of God; which means in practice that there are things to consider, to pray for and to review. I cannot just assume that whatever comes to pass is the best or even the right event. Several possibilities of right exist, wherever it is not a question of specific morality or ethics. For that matter different jobs are imaginable for the Christian, and of course a marriage with anyone else would be different as well. There would be different places to live, meals to prepare, clothes to wear. The reason we do not experience all these differences has nothing to do only with their morality or immorality, but with the fact that once a choice has been made the other choices no longer exist. Time has moved on, consequences leave us with limited remaining options, while opening up others. But what is important to see is that not all alternatives are moral alternatives; within what is moral before God and in history each alternative is equally moral, yet always with different consequences. For God has not only created a moral universe with clear definitions of what is right and wrong. He has also made a universe in which creativity is real and desired by God within factual and moral limitations. God did not make a finished world, but stopped his acts of creation on the sixth day. While we therefore should repent when we make a wrong choice, we should also be encouraged to marvel at the mandate from God to create, through choices, all kinds of right and distinct, personal and different variations and new situations that express how we are people with discernment, gifts and abilities, taste and priorities. Alternatively all choices become moral choices between right and wrong, all activity is always moral and never just a creative variant. All of life is reduced to nothing but the practice of obedience to God's master plan. Again, this is more like Islam, not like Adam and Eve who were given a mandate to create their marriage by their own choices, their children, to give their chosen names to the animals without any of this touching questions of morality. There is, according to the Bible, freedom given to the creature within the form of God's moral definitions. The silences of Scripture are as deliberate and inspired by God as what he does say by the prophetic word. God created man a little lower than the angels to have dominion over everything else (Psalm 8). While it is wrong to forget about the moral concerns, it is also dangerous to box people into a life of blind obedience. You can easily see this in the experience of life in Russia, where every aspect of society was subject to a master plan and creativity almost died in public. Music, theatre, marriages and education were all only right when they fulfilled the party program and satisfied its propaganda. Similarly V.S. Naipaul writes about a number of Muslim communities across the Southern belt of Asia in his book Among the Believers. Anyone daring to be different and not to conform is an embarrassment to the community. Islam for them is not about understanding life, but about a conforming to community practices, collective customs and repetitive behavior. A tendency in that direction can also be detected in the church, whenever a confining view of the sovereignty of God invites Jewish and Christian legalism to protect against and even prevent all aspects of creativity in human life, not just against immorality. If all is planned, variety and novelty are excised. A sense of security is paid for by the loss of individuality. May I suggest that this might be a form of socialism, or authoritarianism, in the church, to be strongly distinguished from the social reality and obligations in the Church? Possibly it comes from a genuine concern to be truthful, moral and responsible to the Lord. But when it is carried into areas in which Scripture is directly or by reasonable implication silent, it becomes a dictatorship without review of the elders, of the community or of some author. On a related point we were very pleased with the response to the last issue of FOOTNOTES (10'2). Edith Schaeffer and I pointed out the, in our view, unbiblical twist and flawed view of sovereignty in Bill Edgar's book, which disregards all considerations of God's holy character by teaching that God orchestrates all events in history. A number of passages show how the view developed in ‘The Face of Truth' is neither supported by Scripture nor philosophically coherent. It is neither demonstrated in the life of Jesus nor in the practice of the apostles. It is not what a culture brought forth and instructed by Christianity and Judaism exhibits. It is a view very close to secular (materialist) and religious (Islam) determinism, from which the Bible and the life of our Lord set us free. We received more appreciative comments than ever before. Only one letter raised objections. We relieved many who had been hearing the chorus of divine determinism for quite some time. The dedication of the book to Edith Schaeffer was not an honor to her, but a thorough misunderstanding of what the Schaeffers believe, taught and lived throughout their lives. 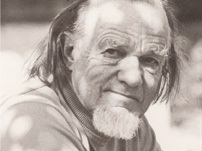 I was reminded of this, when we remembered Schaeffer's struggle with cancer for five years in Rochester. He did neither think that cancer was God's will for him nor that God would more likely deliver him than anyone else only because he had been in an important ministry and many people prayed for his recovery. Instead he courageously took his stand in the larger battle against death, fighting it daily until his body failed. The victory will be in the coming resurrection in time and space. As I write this spring is knocking at the door. I am getting ready for the two weeks of meetings and lectures in the US, where I shall go from New York to Albany GA, Brevard NC, Alma MI, Toledo OH, Minneapolis MN, Des Moines IA and back home. The piles of snow melt away now under the warmer March sun. Primroses and crocuses are piercing through dried grasses from last fall. The trees need pruning for better crops this year. I hope to do that before they break out in buds. Please continue to pray for our own preparation and pruning for the season ahead, in our lives, work and teaching. Debby's two Bible classes bring children from the village to the house on two afternoons a week. I taught three classes in a course on Apologetics in a Bible school above Vevey. It helps believers see that what we do affirm is not a mental construct, a life of belief, an obedient submission to doctrines, but a discovery of reality and an affirmation of true truth. We acknowledge that from the first proposition of the Bible (‘In the Beginning God created the Heavens and the Earth') to the last (‘Surely I am coming soon'. ‘Come, Lord Jesus') we believe what is accurate, fitting, coherent and in this sense true to reality. In other words what we confess as Christians is not a confessional mentality or practice, but a humble admission that what is true and affirmed fits the facts in history. We live before and under events, acts of God, declarations of meaning and in real history, looking back to creation, the fall and the cross, around us to real and broken humanity and forward in time to the resurrection, to see the real world and God's promises about it.